i love the bag, so great! Oh man das ist mein Lieblingsessen! Wunderschöne Fotos. Looks like a good week! Love the took of that turquoise bag! 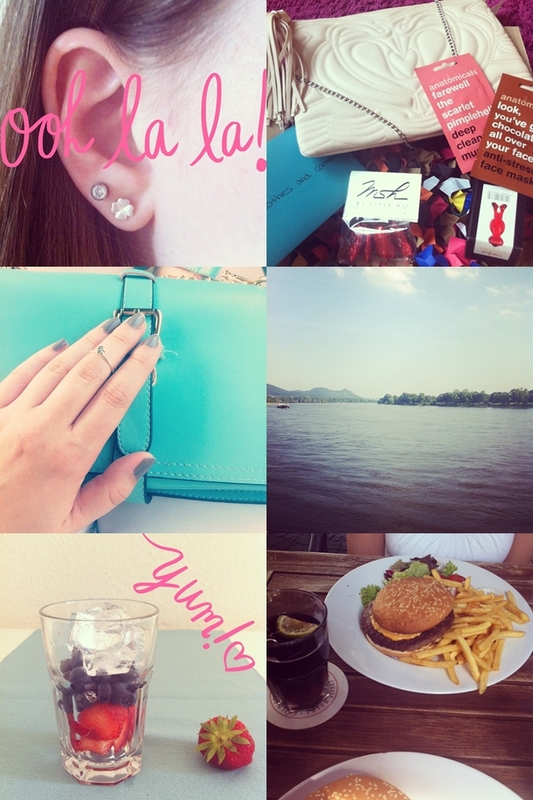 Fun photos, love both bags and the berry drink looks so good! Lovely pictures. I should try instagram, it really makes perfect photos. you have so many pretty items! I wish I could have these fries now! They look sooo tempting!